The Fort Collins Climate Action Plan’s goal is a 20 percent GHG emissions reduction below 2005 levels by 2020, 80 percent by 2030, and carbon neutrality by 2050. 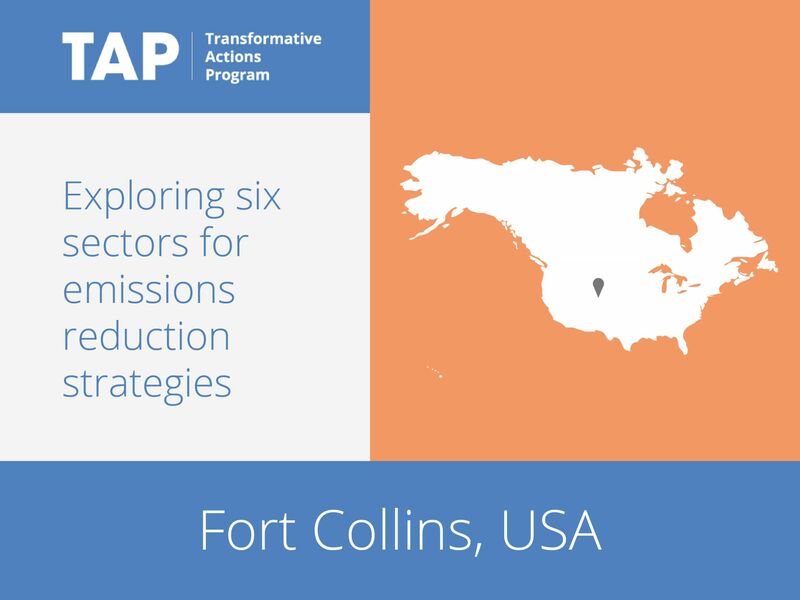 Within this framework, six sectors are being explored for potential emissions reductions strategies: energy efficiency; accelerated alternative energy adoption; multi-modal planning and development; road to zero waste; water and land use; and preparation, adaptation and resilience. Long term, the city aims to fundamentally change the way departments work together and to increase citizen participation in emissions reductions efforts.